Sometimes the interpretation of research frightens me. 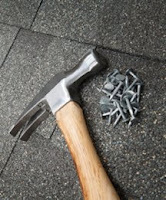 And today, I can now count the interpretation of the Forrester Research study — which says 16 percent of consumers don't trust hammers, er, blogs — among those that do. Since you won't find the obvious in the report, I might point out that you will find the obvious on author Josh Bernoff's blog: People don't trust companies. Another missing element from the study is the methodology. You'll find that on Bernoff's blog too. According to his blog, Forrester surveyed 5,000 people they believe to be representative of the U.S. online adult population (18 and older) online. They then asked those opt-in participants to rate how much they trusted information on a five-point scale, from 1 (don’t trust at all) to 5 (trust completely). "In this case about 80% of those we polled said they did use corporate blogs," explains Bernoff. "Of those who used them, only 16% rated them 4 or 5 on the five-point trust scale." While I still don't know how they conducted the survey or if "use" can be defined as "read," I do know now that the "3"s were counted in the "don't trust" column to craft that headline. Hmmm ... why would they do that? Well, it might make for a better headline since we already know 20 percent of the respondents don't even trust e-mails from people they know. (Sorry, Mom. Next time, please call.) That, and most of the footnotes track back to high ticket reports, which makes it feel a bit more like a lead generation piece than a content sharing piece from a company that encourages sharing. Of course, there could be another reason. Headlines like that and the promise of juicy data create a flurry of promotional, er, blog posts. Geoff Livingston provided an uncharacteristic scolding of sorts. Kami Huyse tried a more subtle approach. And Max Kalehoff was one of the few people to get it right by saying Forrester Research got it wrong. Know what I think? Blogs aren't to be trusted much in the same way hammers aren't to be trusted. It's the people who provide the content that you decide whether or not to trust. And, the level of trust that occurs is based on the accuracy of the information provided or the value of the conversation it creates or the character of the people involved. To say otherwise doesn't seem all that genuine to me. In fact, to say companies shouldn't talk about themselves on their blogs is especially ridiculous given some experts talk about themselves so ad nauseam that they need a second blog to cover it all. Until some social media experts figure out that social media isn't a second plane of existence, they will continue to bump their heads against the wall and all those surveys that say, time and time again, that nobody trusts anybody, except the people they know, er, 80 percent of the time. The bottom line is this: if you earn a level of trust with someone, then it won't really matter where you have a conversation — in person, on the phone, in an e-mail, on a blog, or across a social network. It's about that simple. I agree with you completely that trust is both earned and personal. The study brought up a good conversation since many corporate blogs and bloggers are still not quite getting the mix down. It's not that you can't talk about yourself at all but more about how you do it, which is what my post was about. I really liked your post, especially the definitions and examples of positive solutions that can help make a corporate blog more than hard sales. It sits comfortably in the middle for that reason. It would have been an excellent post, on its own, without the Forrester study. There certainly are reasons to talk about yourself or, um, talk about yourself that works. We cannot avoid it if we hope to share a perspective from real life case study examples, each of us with different degrees of tolerance. Its not so much that I didn't trust the study, as much as the study doesn't trust itself. Forrester lends considerable value to the conversations about business communication as more of it migrates online. However, this time around, the conclusion seemed so much more forced from the analysis. It's all too easy to do these days. So sometimes, I think, it's important to reign that in. Facts can be so easily arranged to make us look brilliant, but do they always lead to the truth. Not really. tools are tools, people are people. for me, i guess my "scolding" was more of a rant. i'm tired of the same old same old from communicators. it's sad to see over and over again. Yes, a rant is what it was, no question. There was nothing wrong with it either. You raised a lot of good points even though your prompt was pushed by a survey that doesn't make much sense. The same issues will be discussed over and over and over again. There is nothing you or I can do about it. If we could, the all-to-often offline question by public relations and communication — how do I get a seat at the table? — would never need to be asked for, what now, 20 years? Obviously, I agree with you. Good call on the footnotes, and the 3 counts. But to the core issue at stake, trust fundamentally does NOT begin with a channel, err, a hammer.